Campsite Le Mas des Chênes is a campsite with 171 touring pitches. 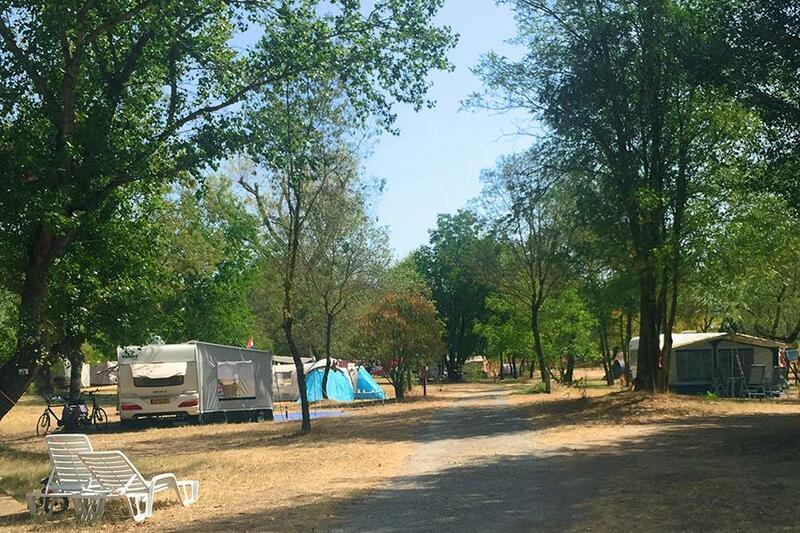 During low season, between 27-04-2019 - 05-07-2019 and 24-08-2019 - 14-09-2019, the nightly rate is €18,- at one of the 171 touring pitches at Campsite Le Mas des Chênes in Lézan (Gard). At this campsite you can not only use your CampingCard ACSI for inexpensive camping, you can also use your ACSI Club ID (as an alternative ID). The campsite has large and open pitches. The pitches are flat and grassy. The cars are parked on a separate car park. The toilet facilities were renewed in 2017. Sandy beach at the Gardon. Great for cycling and walking. Would you like to book Campsite Le Mas des Chênes or request more information? You can do both using the information below or by visiting the campsite's website. From Alès follow signs to Nimes. 2nd exit towards Ledignan/Ners. Then towards Anduze. Campsite is before Cardet on the right of the D982. CampingCard ACSI will send your information request to "Campsite Le Mas des Chênes".